Consistently ranked as the number one anti-virus solution for a number of years, Bitdefender GravityZone is able to catch advanced threats that other solutions might miss. It means you’ll get peace of mind with a solution that can quickly stop infections, computer slowdowns and ransomware from invading your system network. When it comes to security threats, you need more than an anti-virus toolkit they can rely on. Bitdefender’s award-winning GravityZone helps keep your devices, digital assets, and identity safe from harmful attacks. Offering advanced threat protection for physical and virtual servers, Bitdefender GravityZone delivers one single console for complete end-to-end management. 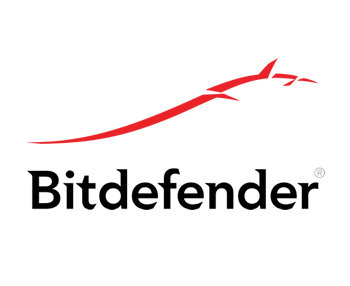 Its global protective network performs 11 billion queries per day through 500 million endpoints, meaning Bitdefender has the largest security delivery infrastructures in the world. Consistently ranked as the number one anti-virus solution for a number of years, Bitdefender GravityZone is able to catch advanced threats that other solutions might miss. It means your clients get peace of mind with a solution that can quickly stop infections, computer slowdowns and ransomware from invading the system network. With Security Endpoint Relay, Content Control and Device Control you can restrict access to specific applications and websites, protect data, automatic device discovery for easy installation, and configure updates through the network much more efficiently. With a powerful cloud-based console, all of your devices are managed in one place with access to installation, monitoring and reporting features in real-time. View quarantine, track audit logs, and select different access privileges with role-based user models. Software that deploys within minutes, regardless of whether it’s on a virtual or physical server. Ease of management and great stability from a simple but powerful web console.